Fathers Day Recipes should be special because of the very special person in our lives we call "Dad." My father was my Dad. A special man. He had to be. He was a Dad to four children - all girls! I don't believe my sisters and I could have ever had a more dedicated father than what he was to us. I remember hearing some of my friends' fathers say things like: "As long as you live under my roof ... you'll live by my rules." Or the other famous one: "I'll tell you why ... Because I said so! That's why!" Of course, now that I am older and have helped raise a family, I can see much more clearly the hardships, burdens, and the many sacrifices he made for me and my sisters. 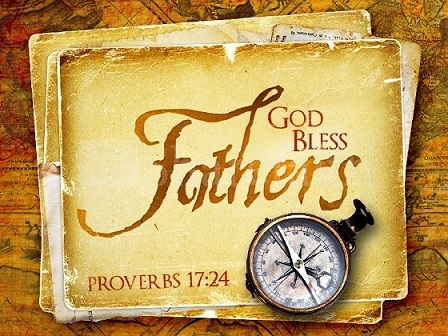 My father was a man whose love, generosity and patience were seemingly unlimited. He was a gentle man. I loved him for that, too. Because he helped my mother raise four girls, I always laugh and think of my Dad when I read the saying, "There's a special bathroom in Heaven for a father of girls!" Trying to use the restroom was a major task for my dear father, especially when all his girls were teenagers. My Dad really never got angry about much of anything, but one of the reasons was his daughters (but mostly his wife) knew how to make everything right. We knew another old saying was true: "The way to a man's heart is through his stomach." It is especially true on Fathers Day ! And when it came to food on this special day, my father enjoyed simple, but delicious food such as Homemade Biscuits and Sausage Gravy or Whole Wheat Blueberry Pancakes or a Denver Omelet. For a lunch, he'd be very pleased with a hamburger. If Mom decided to get a little "fancy," she'd make a Bleu Cheese Hamburger. A Pot Roast - The Comfort Food was always a favorite with my Dad for dinner. And on the rare occasion when we were feeling "flush" and Dad wanted to use the barbecue, a Grilled Rib Eye Steak was high on his wish list. If Dad had any room left for dessert, he'd hope for Strawberry-Rhubarb Crisp. 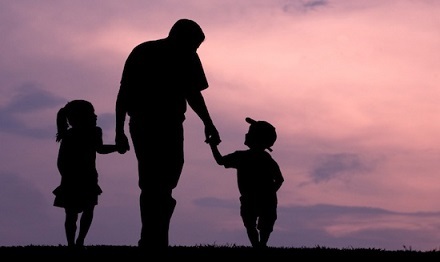 These are a few ideas to make the day special for your Dad (or your children’s Dad) ... and remember to say, "Dad, I love you. Happy Day!" Enjoy your Fathers Day Recipes!